If you look at the Navajo alphabet as it is today it seems quite the task to learn how to verbalize the text. The alphabet was actually developed to make Navajo written and easier by writing out everything as it sounded. I have my own opinion as to how this can be helpful and a little problem-some. Nonetheless, we have an alphabet; and we are going to use it to learn to speak Navajo. At the left you will see vowels used in Navajo. We have A E I O…no U. Also notice there are funny marks at the top and the bottom. If you speak other languages like Spanish, Portuguese, or other foreign languages they use these accents. The mark at the top is simply an accent. I don’t think there is much difference from Spanish accents in which you have to give the vowel more *umph*….it’s said higher than a vowel without it. I’ll give you some help with this in a second. The little “thing” at the bottom is another type of accent. This indicates that the vowel is spoken with a NASAL sound. If you say BOMB, you will notice that you nasalize the O in BOMB. If you touch the side of the nose while you say BOMB you will feel it. So all vowels with this accent have that feeling when you pronounce them correctly. The tricky vowels come when they are longer(more than one vowel strung together) and when they go from a high accent to normal tone. You can also have vowels that use both the nasal and high accent as shown in the picture. The only problem I had with reading in Navajo was that I could never pronounce them like I think they should be. And I could not make the differentiation between an accent and normal vowel. I actually have this problem with Spanish as well. So we need something to go back and study and practice this with. There are books with tapes…yeah TAPES…rarely do you find a CD that has been tracked to where you can find the correct spot with the correct pronunciation without too much searching. So let me present GoMySon.com. This was developed by a Navajo guy, if I’m not mistaken, to make his technological contribution to the Navajo language. And it has some nifty stuff. Poke around when you have time, but I would like to refer to the vowels and alphabet pages. This page lists all Navajo vowels and consonants along with an audio example of how to properly pronounce them. I know for sure the page works with FoxFire, I am sure it works with Explorer and other web browsers. This page is put together nicely, when you click on the letter you hear the audio example immediately…no waiting..no new windows…no need to download files…no hassle. Very convenient. This page might also be useful to new speakers as well. 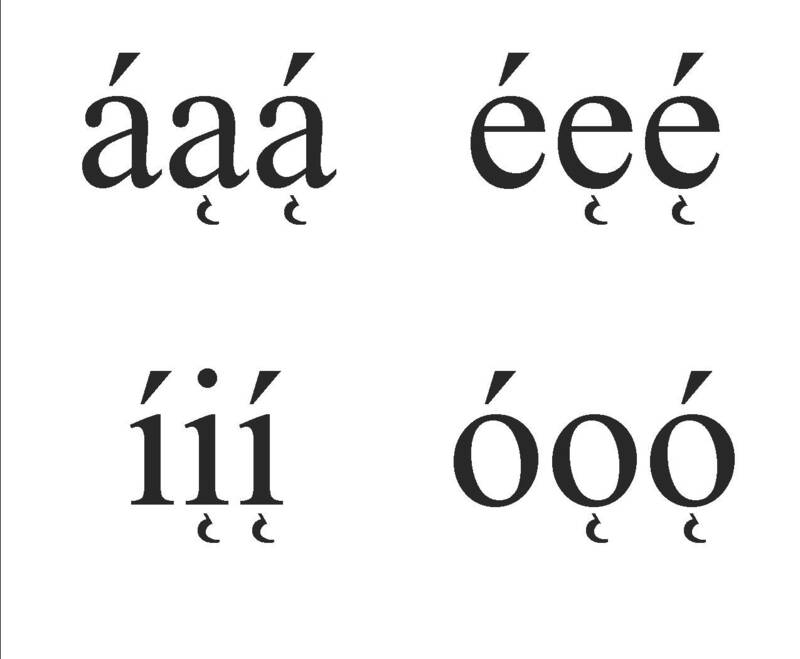 Here are a few combinations of consonants and vowels along with glottal stops. Glottal stops are represented with an apostrophe in Navajo. What needs to be done for a glottal stop is to insert this STOP as a brief hold of the previous sound using the throat and vocal, etc. The Navajo Language Academy, Inc. has some documents for download for those studying Navajo. I was very fortunate to stumble onto this page. There are pictures to help illustrate what your mouth should be doing when trying to pronounce different vowels and consonants. 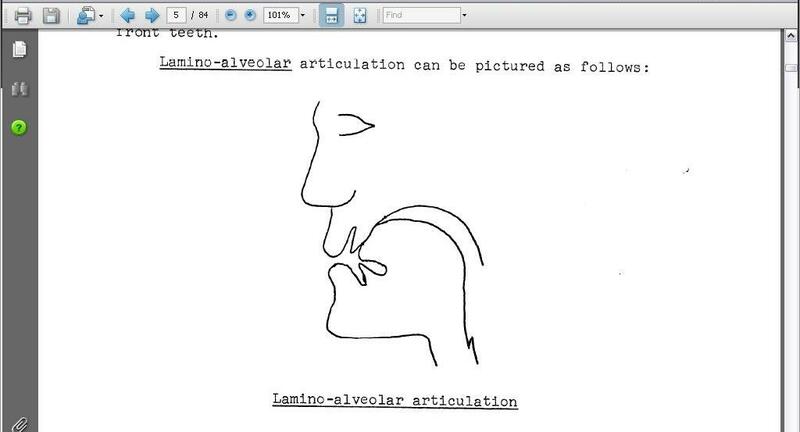 The glottal is discussed on page 48 of Part A of the document. So there it is. I hope these help, they sure will be a constant resource to me. Enjoy the reading and websites. Thank you! you have been an absolute miracle with your information and links! also have you book-marked to check out new stuff in your site. Do u guys have youtube videos ???????? ?